Melanoma and skin cancer accounts for a profound level of morbidity and mortality in our community. Unfortunately as Queenslanders, we have amongst the highest risk in the world for skin cancer and melanoma. Why do we need a dedicated skin cancer clinic? Most doctors have the ability to diagnose melanoma that is advanced. Unfortunately, it is often too late by this stage – early diagnosis is critical. We use dermatoscopy (skin surface microscopy) to help our doctors diagnose skin cancers and melanomas early. 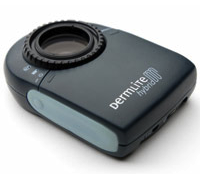 Computerised dermatoscopy technology also allows us to photograph and save an image for later comparison. 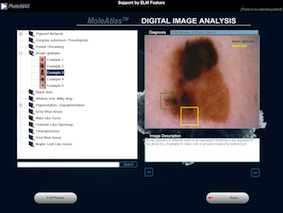 This helps us to diagnose the earliest forms of melanoma. It also helps us minimise excising (surgically removing) lesions which look suspicious with the naked eye but are actually quite innocent. Melanomas can occur in anybody, any age and even skin that has never seen the sun! Experts recommend children begin to have their skin checked around puberty. Most doctors can diagnose obvious melanomas and skin cancers. Our doctors that offer Skin Cancer Clinic checks all have a special interest in skin cancer medicine, diagnosis and management of skin cancers. They have all undertaken post-graduate studies to further their expertise in skin cancer detection and management. They all hold University Certificates as a result of their extra training. What if we diagnose a skin cancer? Not all skin cancers need to be excised. Our doctors can offers most forms of skin cancer management including surgical excision. Sometimes appropriate treatments may be beyond the scope of a primary care setting. Should this occur, we can recommend and make appropriate referrals. Dermatoscopy is simply skin surface microscopy. This is, however, very different to a high powered magnifying glass. Dermatoscopes are precision optical devices which enable the doctor to see into the skin by removing the skin surface reflection via polarised light or a fluid/skin interface. 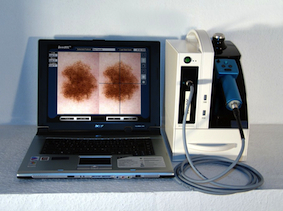 Computerised Dermatoscopy is the same technology attached to computer for saving and comparison of images. We use MoleMax. All our Doctors hold post-graduate qualifications extending their Skin Cancer Detection and Management Skills. We pride ourselves on the standard of our clinic and our excisions if required to remove a sun spot or skin cancer. We hold Skin Cancer Clinics every week day and many Saturday mornings. 20 minute consultations are standard. This allows enough time to complete a full and comprehensive assessment. If you are unable to keep your appointment, please call and cancel to allow somebody else to fill that appointment slot. A non cancellation fee may apply if you fail to turn up. PLEASE AVOID WEARING MAKE-UP to enable us to conduct a thorough check. Telephone reception to make an appointment. We bulk-bill all Skin Cancer Clinic appointments. Surgical excisions attract normal practice fees. For a single standard excision, we charge a Gap Payment of $90. This is not rebatable. Surgical excisions will always be done as priority.